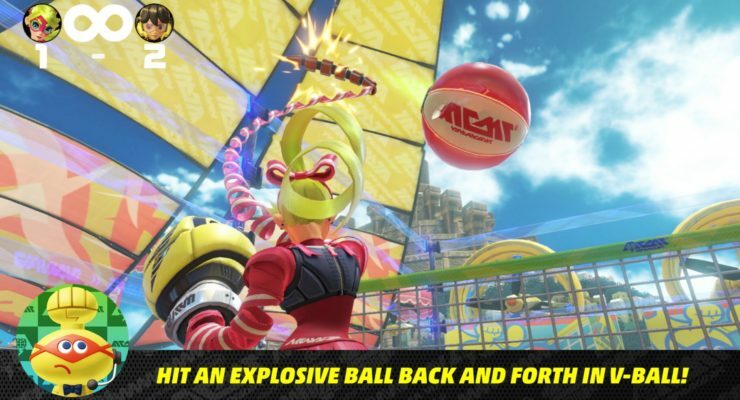 As part of Nintendo’s ARMS Direct, a slew of single and multiplayer game modes were shown off. 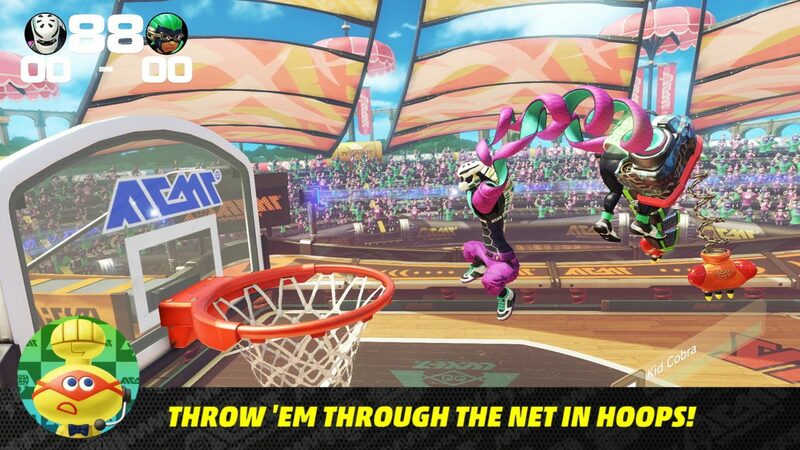 With lots of variety to keep the game feeling “fresh”, there is sure to be a game mode that appeals to you. 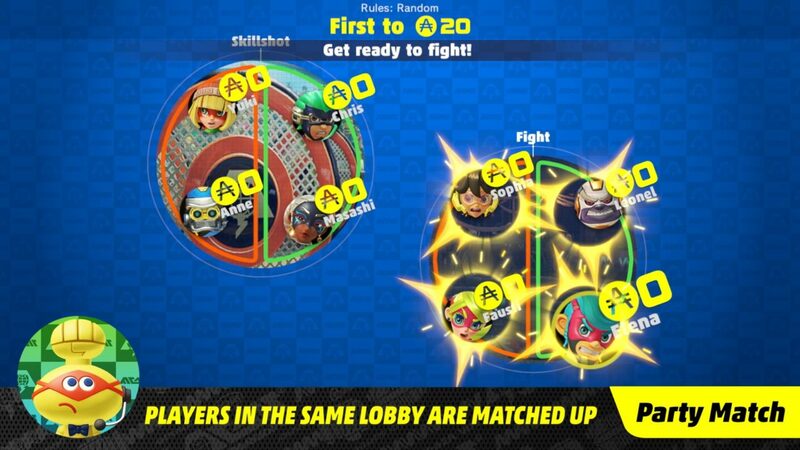 For the player more interested in the offline experience, Versus Mode has plenty of play-styles to choose from. 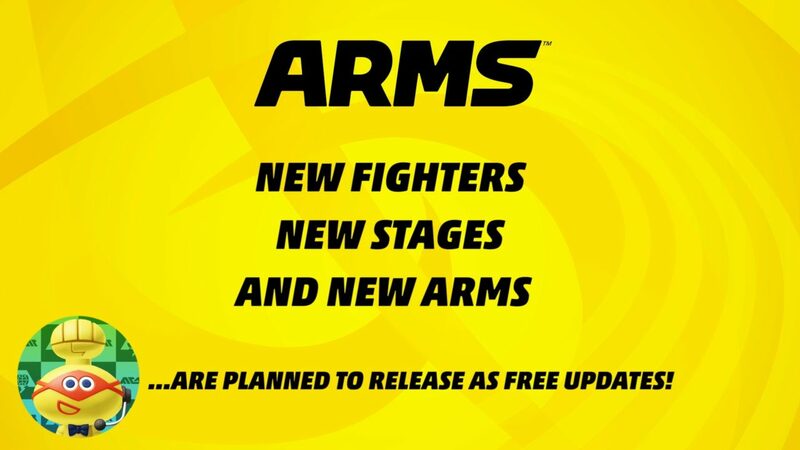 Fight – In this main multiplayer* (Can be played alone or with a friend locally) mode, two fighters battle against each other one-on-one to claim victory. 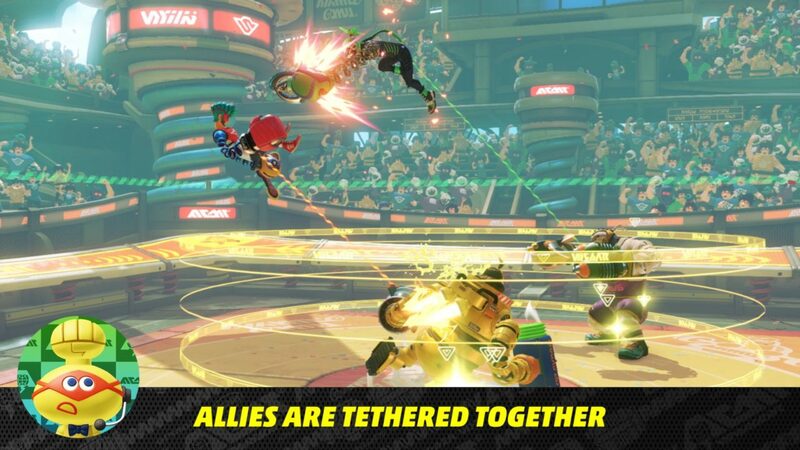 During the fight, bombs and other healing items drop in, adding some strategic options to the proceedings. V-Ball – Similar to volleyball, but much more awesome. V-Ball is a sport that involves knocking an explosive ball into the opponent’s court. 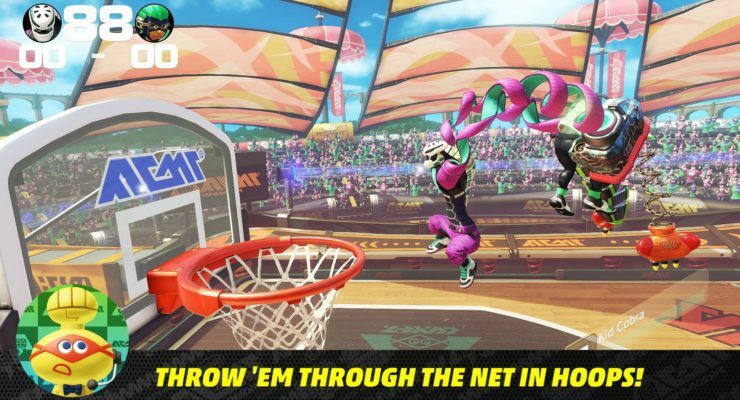 Due to the stretchy nature of ARMS, hitting the ball from the other side of the net is perfectly acceptable. 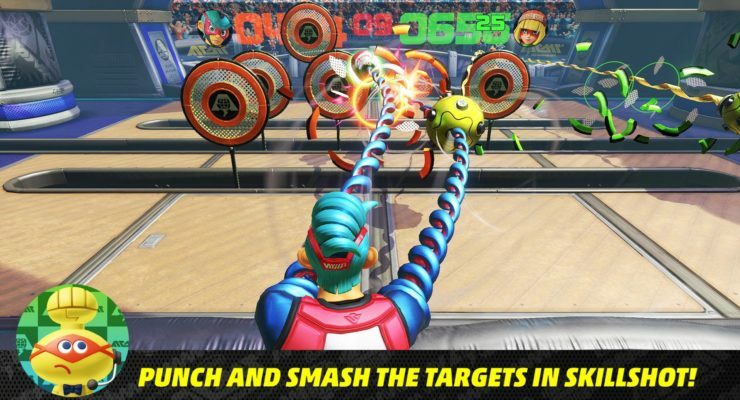 Hoops – Grab opponents and shoot them into the net (or even dunk them for extra satisfaction) in this hard-core game of ARMS-style basketball. 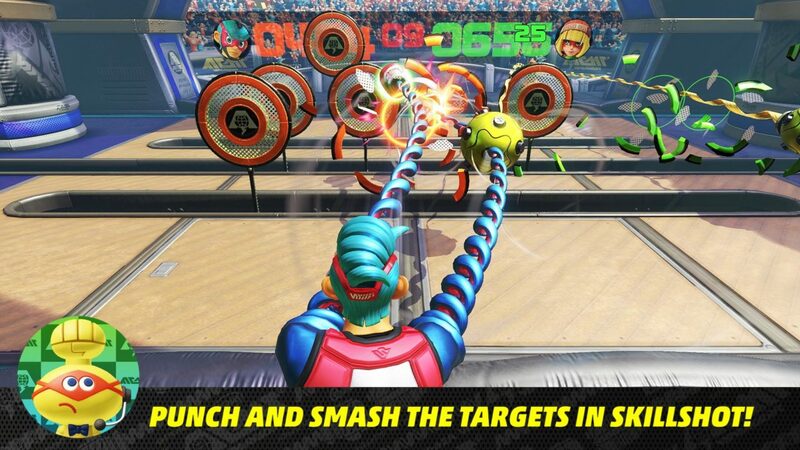 Skillshot – Break as many targets as possible using the versatile powers of ARMS. 1-on-100 – Defeat 100 enemies in a row, one at a time, in this progressive battle mode. 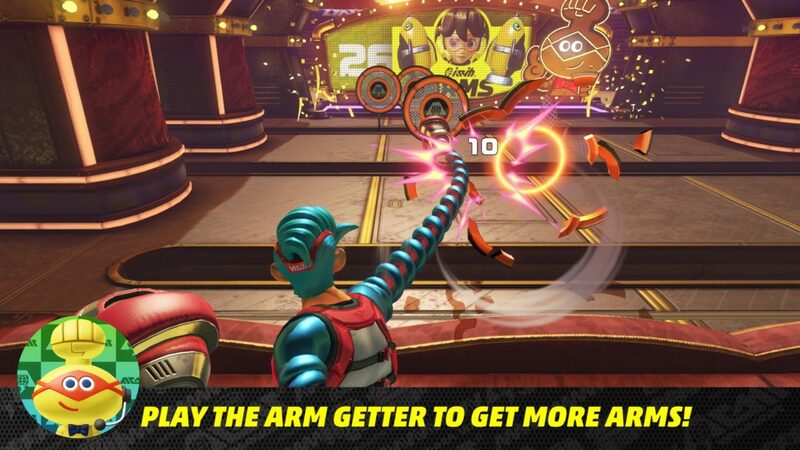 ARMS Test & Training – In Test mode, players can try out randomized ARMS combinations, while Training lets them practice a number of varied drills. 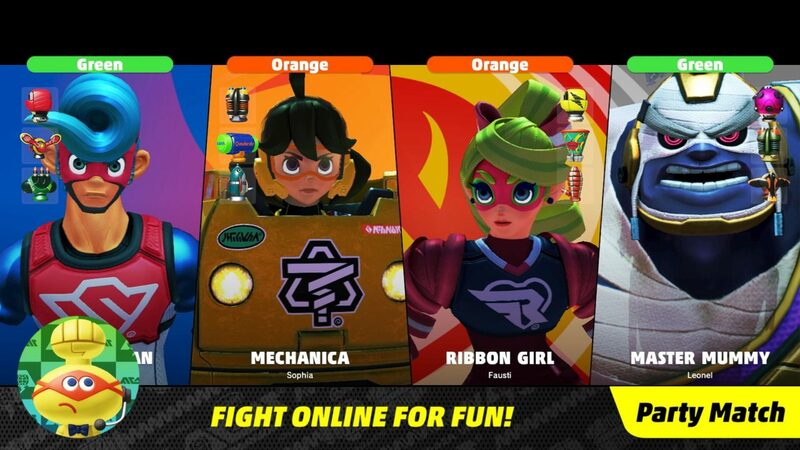 Of course, along with the offline modes, ARMS has plenty of online and local Multiplayer options as well. Party Match – By connecting the Nintendo Switch console to the internet, players can battle with up to three other ARMS players at a time that are in the same lobby as them. 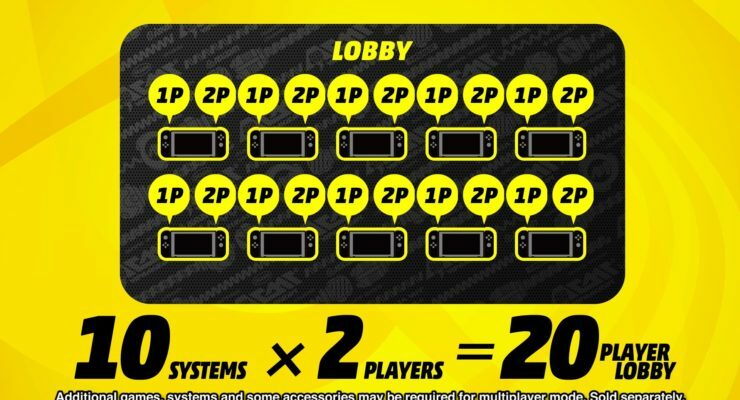 One lobby can hold up to 10 systems, but with up to two players per system, 20 players can potentially get together in the same lobby. Ranked Match – In this time-honored coliseum, players compete online in 1-v-1 battles. 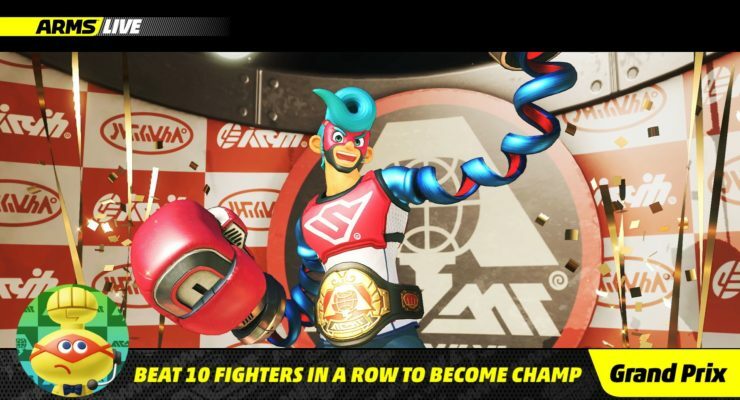 By winning a match, a player’s rank goes up, while, conversely, losing will make that rank go down. While waiting to play a Ranked Match online, players can participate in any other mode to pass the time (and tighten up their skills). 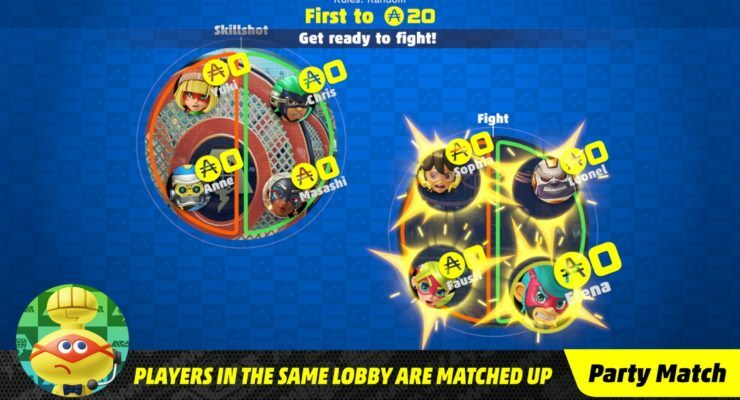 Local Wireless Mode: When playing in Local Wireless mode, up to eight players with eight separate systems in the same room can gather in an in-game lobby and battle up to three other players at a time like in Party Match. 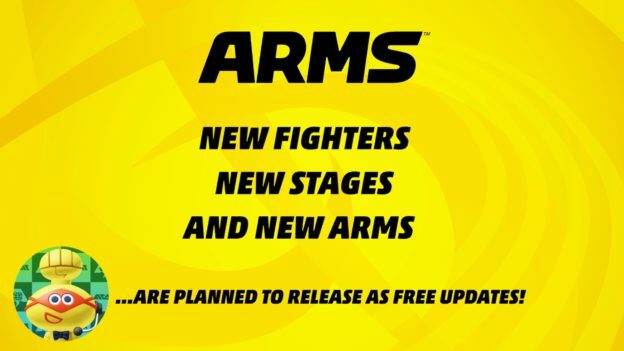 Last, but certainly not least, Nintendo even plans to add additional fighters, stages, and ARMS in a free update in the future after the game launches. 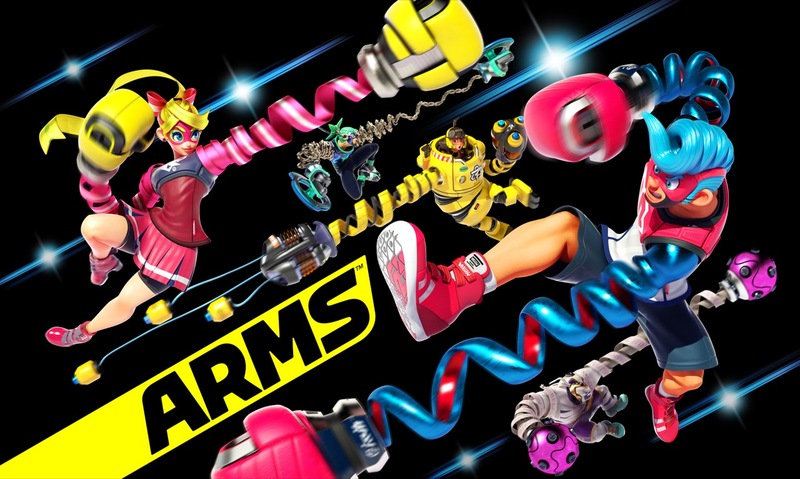 With a variety of game modes to choose from, and free future DLC to boot, Nintendo seems to be pulling out all the stops to insure ARMS sees success on the Switch. 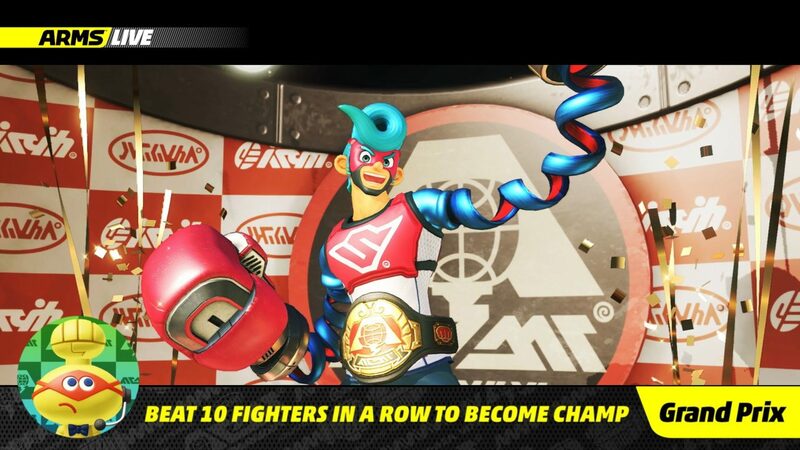 Did the Nintendo Direct make you excited for the June 16th release of the game? 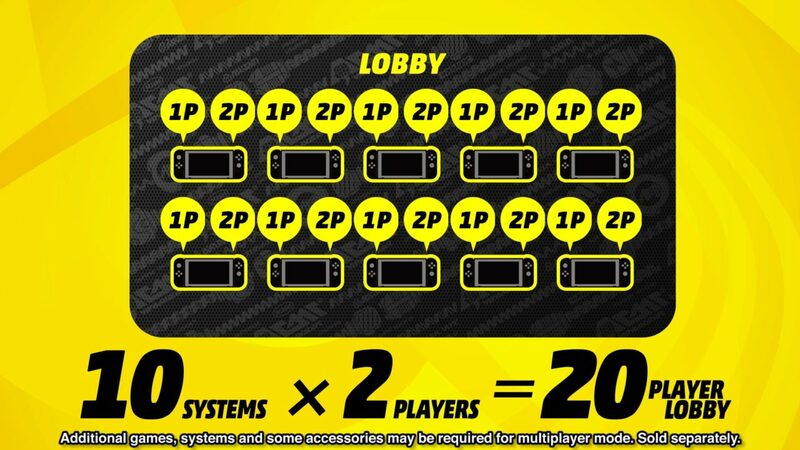 Which mode are you interested in trying the most? Leave your thoughts below in a comment!